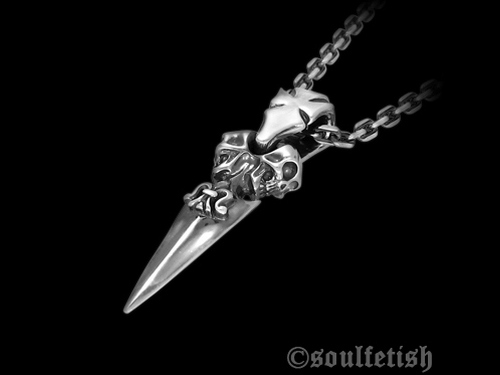 Brand new Victor Skull Dagger Pendant (P5008; Specs: W=21gr / L=57mm / W=13mm) made in .940 silver by SoulFetish jewelry. Regular price: $250. Our 100K Weekly Sale price: $200 (add $15 for international express shipping). You save 20%. Offer good for two weeks from date of post. 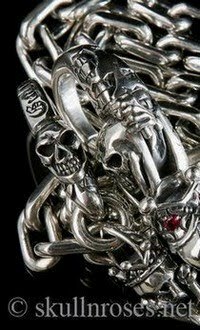 Please contact us to purchase this jewelry piece.